You come to the realisation of how huge the Alexandra Truck, Ute & Rod Show has become when you attempt to book hotel or motel accommodation for the event. Unless you’ve organised it a year in advance, you’ll be spending the Queen’s Birthday long weekend in the surrounding towns, although there’s a good chance that accommodation may be booked out as well. The other option for truckies, of course, is sleeping in the truck’s cab which many are happy to do. Those who made it a day trip, rolling up on Sunday, June 10, were greeted by a slight drizzle and a morning fog, not to mention the single digit temperature. But that did not deter scores of owners and drivers trucks, utes and hot rods which filled the streets in the centre of town. Dave Moloney, of Moloney Bulk Haulage, is one of those who organises his family accommodation a year in advance. Dave picked up the award for Truck of the Show with his Kenworth Legend 900. He began attending the Alexandra event only a few years after the show’s inception. He’s been there every year since. Moloney Bulk Haulage had nine trucks on show; the prize-winning Kenworth only joining the fleet two weeks earlier. The 900 was one of a number of Kenworth ‘Legends’ on show at Alexandra, which included Kitco Transport’s 2015 Legend 950. It’s number 58 in the serie,s as driver Don Ogilbee explains. 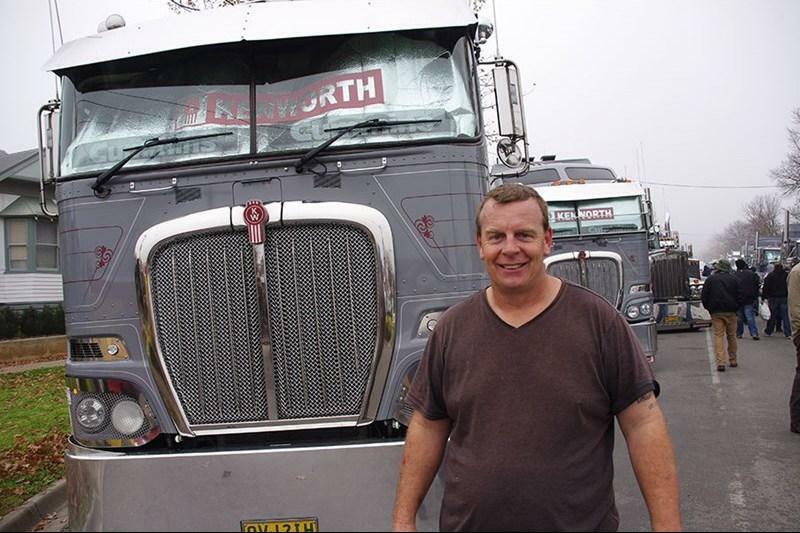 Don has been behind the wheel of the Kenworth soon after it became a member of John Townley’s Kitco fleet. "I’ve known John for 25 years," Don explains. "He bought it for himself to drive, but he never did. Meanwhile, taking up prime position in the middle of Grant St, the event’s major sponsor Larsen’s Truck Sales had a number of trucks on show, including a conspicuous brand new Western Star 4800FXB. Dave Larsen says he’s been involved with sponsoring the Alexandra Truck, Ute & Rod Show for around 10 years. He heaped praise on the event’s organisers, particularly Andrew Embling and Gordon Simpson. "They’re amazing people," he says. As well as supporting the show, for Dave the weekend is also about family and friends. "My three sons are here, my young 11 year old, my two older boys and my daughter," he smiles. "It’s a family affair. I love it."